I live in a rent-controlled apartment and the landlord lives in the same building. My lease states that I’m the only allowed occupant and I cannot sublease without permission. Two years ago, I asked if I could have a roommate and was granted permission. The landlord stated that subleasing was for me to handle he did not want to be involved, and that he did not want to add people to the lease. Several roommates have come and gone since then-I never asked for permission to move in a new roommate and my landlord has always been aware of this. Has the no subleasing provision been waived? And can he limit the number of roommates I have if I am allowed to sublease? I discussed with my landlord having two people and one dog move in. He agreed to this arrangement, and was drafting up a letter to be signed to finalize the agreement. About three days AFTER permission was granted, he revoked the agreement, no written letter was signed at this point. The reason he gave me was because he cannot legally raise my rent so I cannot sublease my apartment to two people (having a total of three people in my two-bedroom apt). 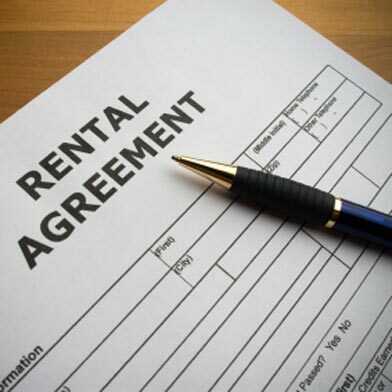 I think the Rules and Regulations are clear that you may now sublet to roommates because “the open and established behavior of the landlord and tenants has established that the tenancy includes more than one tenant …” (Rent Board Rules & Regulations §6.15B(a).) The no subleasing provision has been waived with respect to the fact that you can replace roommates on a one for one basis. I think, however, that you are taking the landlord’s statement that he didn’t want to be involved in the subletting process too far and potentially endangering your tenancy. Even assuming that your potential roommates are a couple, the rules don’t give you the opportunity to count them as one person. Then there’s the dog. If you have a typical “no pets” provision in your lease, the landlord can certainly refuse a roommate with a dog unless the dog is a service animal. I hope you did not allow the roommates to move in based upon the landlord’s initial permission. While an argument could be made that you detrimentally relied on the oral permission and let them move in, I think it’s weak because the landlord told you he was drafting a letter to finalize the agreement. You should not have considered it a done deal. I get a sense from your question that you are dealing too informally with the landlord. It’s not your fault. He told you that he didn’t want to deal with the subletting. Nevertheless you should begin to communicate with him in writing. You should read Rules & Regulations §6.15B and follow the steps provided each time you want to add a new roommate. the first step is requesting the landlord’s permission in writing. If the landlord balks, just tell him (in writing) you’re following the rules. Tenants can be lulled into complacency when a landlord seems to be willing to be informal, to give verbal permission to requests. We have to remember that our relationships with landlords are business relationships, nothing more. Landlords are not our friends. In my experience, albeit at a time when push has turned to shove, landlords are liars. You don’t want to find yourself in the position of saying, for example, “but he told me I could have a cat” when the lease explicitly requires written permission and the landlord denies that he gave it. Worse yet, you don’t want to have to say, “The old landlord told me I could have a cat,” when new owners are evicting you for breach of the lease. Do you honestly think the old landlord will confirm your statement after he’s pocketed a few million bucks from the new owners?